Buddhism owes its origins primarily from Shakyamuni Buddha who appeared in India around 2500 years ago or more. As a religion, Buddhism is introduced in modern-day Singapore primarily by migrants from across the world over past centuries. The first recorded histories of Buddhism in Singapore can be observed in the early days' monasteries and temples such as Thian Hock Keng and Jin Long Si Temple that were built by settlers that came from various parts of the world, in particularly Asia. In 2010, out of 2,779,524 Singaporeans polled, 943,369 (33.9%) of them aged 15 and over identified themselves as Buddhists. 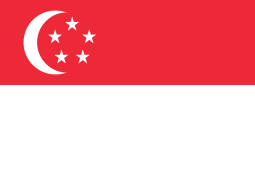 There are a variety of Buddhist organizations in Singapore, with the more predominant authorities being established ones such as the Singapore Buddhist Federation. Buddhism first appeared around the Singapore Straits during the 2nd century. Given the historic status of Singapore as a British trade port and colonial state, as well as a brief period of Japanese colonial rule during World War II, over the centuries a variety of Buddhist lineages from across the globe has appeared gradually on the island. They include Japanese and Western interpretations of the tripitaka, although a substantial local presence have their origins dating back into historic South East and East Asian kingdoms. Free-distribution Buddhist media in Singapore. With the advent of religious freedom in modern-day Singapore, most Singaporeans that adhere to the Buddhist doctrine are a participant of at least one Buddhist organisation, while also being actively involved in other beliefs that are presented across the diverse cosmopolitan culture. This coincided with the basic Buddhist teaching that the Shakyamuni Buddha is neither a theist God nor a saviour, at best a concerned teacher. There also remain an active female involvement in Singapore Buddhism, which include lay female followers as well as monastic bhikkunis. 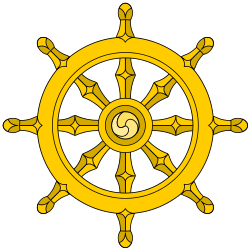 Buddhists generally classify themselves as either Theravada or Mahayana. Venerable Guojun abbot of the Mahabodhi Monastery in Bukit Timah, has drawn criticism for owning a property in Sydney worth more than A$500,000 (S$514,000) and for not wearing his monk's robe on at least one occasion in public and staying in Marina Bay Sands (MBS) integrated resort. He also faces a lawsuit from a trustee Lee Boon Teow of the monastery, who has also filed a Corrupt Practices Investigation Bureau (CPIB) report against the abbot. Venerable Ming Yi of Foo Hai Ch'an Monastery as of 2015 was also imprisoned in a high-profile corruption scandal many years ago. Ming Yi had been sentenced to 10 months in jail in November 2009 after being convicted on four charges of fraud, falsifying documents, misappropriating funds and giving false information to the Commissioner of Charities in 2008, including the use of the hospital's funds to grant an unauthorised $50,000 loan to his personal assistant, Raymond Yeung. Court proceedings also revealed that the monk had at least three properties under his name in upscale areas at Orchard, Stevens Road and Holland Road, as well as properties in Australia and Seattle, a luxury car, a racehorse named Venezuela and went on diving holidays. Resulting from criminal charges and investigation, the Commissioner of Charities then suspended him from decision-making positions in Foo Hai Ch'an Monastery; Foo Hai Ch'an Buddhist Cultural and Welfare Association; Singapore Buddhist Free Clinic; the Singapore Regional Centre of the World Fellowship of Buddhists; and the Katho Temple. ↑ "Statistical Release 1: Demographic Characteristics, Education, Language and Religion" (PDF). Census of Population 2010. Singapore Department of Statistics. Archived from the original (PDF) on March 3, 2011. Retrieved 2 Dec 2013. ↑ "Firefly Mission". Retrieved 2 Dec 2013. ↑ "About us / Support us". The Dharmafarers. Retrieved 11 September 2014. ↑ "The Dharmafarers". Retrieved 2 Dec 2013. ↑ Tan, Piya. "from Piya TAN Beng Sin". support bhikkhunis. Retrieved 11 September 2014. ↑ "Piya Tan". Chinese Buddhist Encyclopedia. Retrieved 11 September 2014. ↑ "Bodhi Meditation Centre". Retrieved 2 Dec 2013. ↑ "Buddha Vihara Society - Sinhttps://t0.ssl.ak.tiles..". Retrieved 11 September 2014. ↑ "Home Page of Mangala Vihara Buddhist Temple". Retrieved 11 September 2014. ↑ "Leksim Ling". Retrieved 2 Dec 2013. ↑ "Singapore Buddhist Federation". Retrieved 2 Dec 2013. ↑ "Singapore Buddhist Lodge". Retrieved 2 Dec 2013. ↑ Zaccheus, Melody. "Bid to suspend monastery's abbot fails". ST. Retrieved 9 March 2016. ↑ Aw, Cheng Wei (11 May 2015). "Buddhist monk glad kidney recipient has second shot". Retrieved 9 March 2016. ↑ "Ming Yi's monk status questioned over $1,000-a-table dinner". AsiaOne. 2 Dec 2010. Retrieved 9 March 2016. ↑ Chong, Elena. "Ren Ci head Venerable Ming Yi charged with 10 counts". Retrieved 9 March 2016. ↑ "Former Ren Ci chief breaks down in court". AsiaOne. 21 Apr 2009. Retrieved 9 March 2016. ↑ Yong, Amanda. "He buys BMW, racehorse in Perth". Retrieved 9 March 2016. ↑ "Ming Yi suspended from office in 5 other bodies". Retrieved 9 March 2016. Chia, Jack Meng Tat (2009). "Buddhism in Singapore: A State of the Field Review." Asian Culture 33 (June 2009), 81-93.